- Head Rotatable at 360 degree. - Quadruple nose piece with positive click stops. From the most basic to the more complex laboratory applications, the Labomed Microscope - LX 400 stands strong as a truly modular system. With an Infinity corrected Plan Achromatic optical system, users will enjoy crisp images with excellent color fidelity and high accuracy in image rendition for a wide spectrum of specimen. This compact, tabletop Atomic Force Microscope has all the important features and benefits expected from a light lever AFM. The TT-AFM includes everything you need for AFM scanning: a stage, control electronics, probes, manuals, and a video microscope. 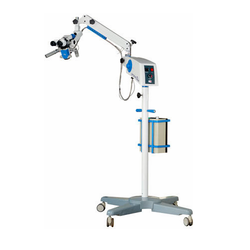 - Nosepiece Quadruple nosepiece with accurate centring and positive click stops. - ENT, Neuro, Gynaecology etc. 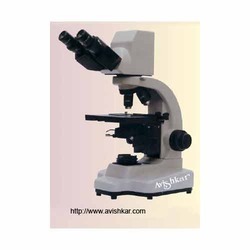 We bring forth a comprehensive range of Microscopes (Photocolorimeter & Pathology Instruments) for our clients. The entire range is manufactured under the parameters of international quality standards at our vendors' ends. Our products are reckoned for their unique designs, excellent performance and durability.